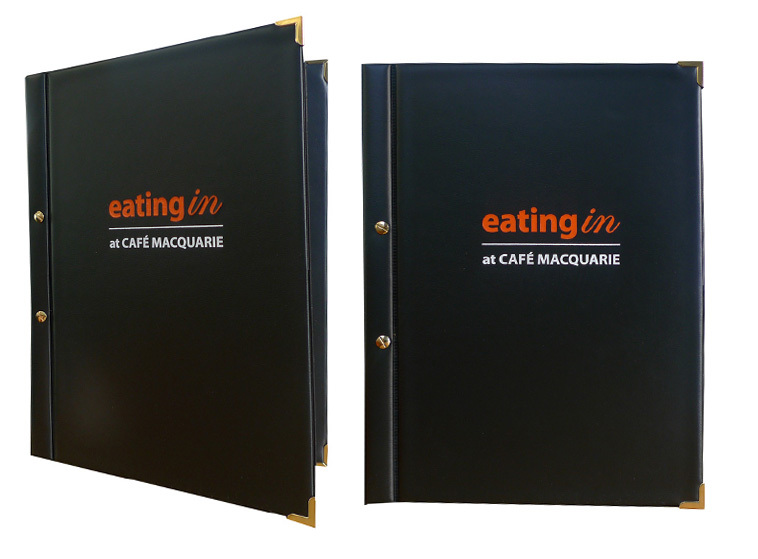 Our menu cover vinyl uses the interscrew’s to hold the front and back covers together, we only use dense graded PVC for increased wear and durability. The menu cover vinyl are available in two key sizes A4 and smaller for drinks lists (we stock the most popular colours black and Burgundy) but are available in the other colours to suit your colour scheme. 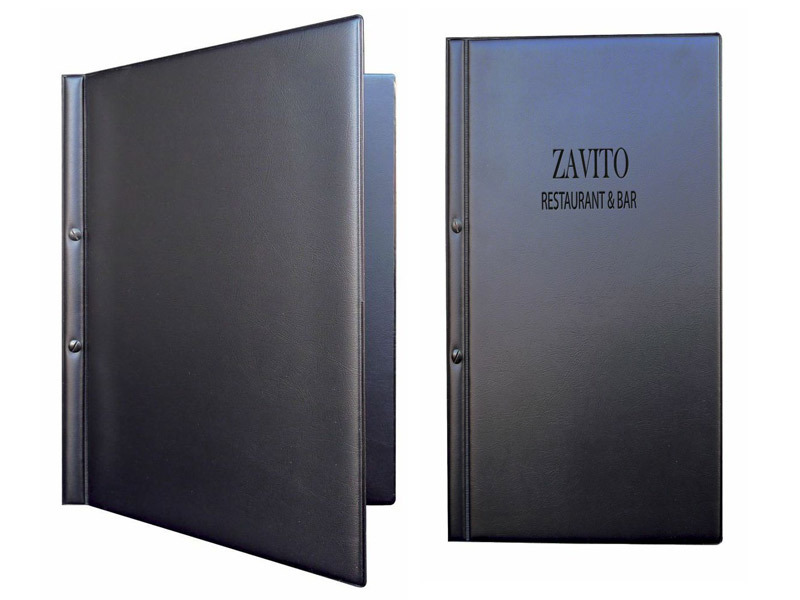 The menu cover vinyl is heat sealed together meaning that moisture and water are no problem, they can be easily wiped and will stand up to heavy use and moisture rich environments they are proven winners and have stood up well in the busiest hospitality environments. These covers will give you 100% of the look your are after at a fraction of the cost of the fabric covers – As we make them in bulk and pass the cost saving on. 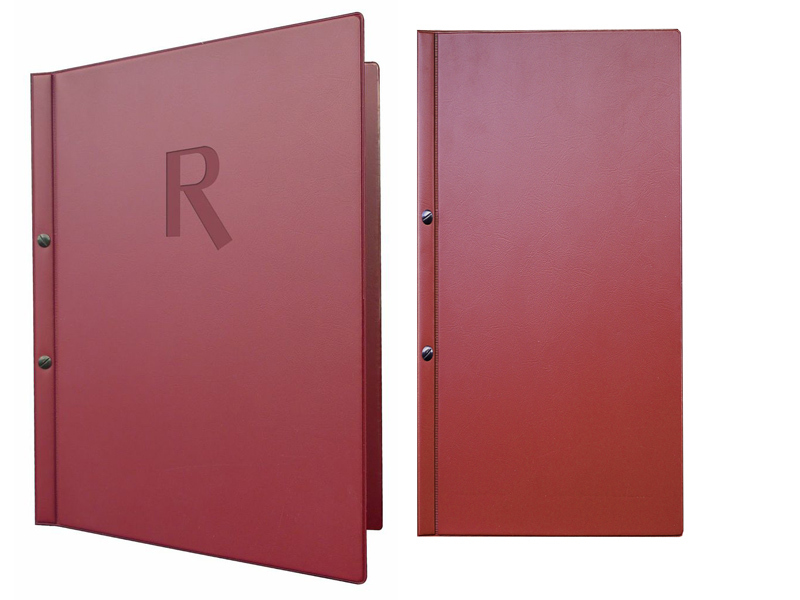 You can personalize your menu cover vinyl with any of our finishing processes, emboss, screen print or foil stamp your logo – Or add metal corners to finish the look! SKU: PVEXT. Category: Samples. Tag: productSample.